ARRIVAL AMMAN - JERASH - AMMAN (ARRIVAL FLIGHT HAS TO BE IN THE EARLY MORNING) :- Welcome to Jordan! Finalize the airport Now, we proceed to visit the ancient Roman city of Jerash, including the paved and colonnaded streets, soaring hilltop temples, theatres, spacious public squares and plazas, baths, fountains and city walls. Procedure and head to your hotel in Amman. AMMAN -AMMAN CITY TOUR - MADABA – MT NEBO – PETRA :- After breakfast, we tour the downtown part of capital city Amman for 2 hours, visiting sites and museums including the Archeological Museum, the Folklore Museum, The citadel, and the Amphitheatre. Everywhere you look there is evidence of the city's much older past! 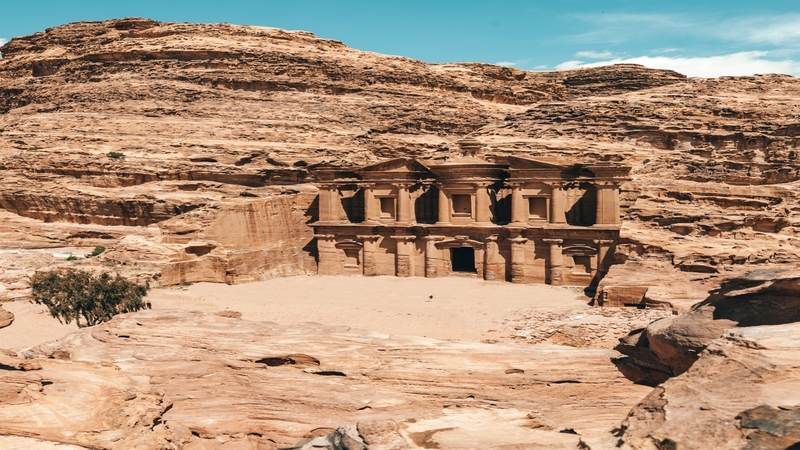 We head to visit Madaba, a city best known for the famous 6th century Mosaic map of Jerusalem & Holy Land and for its spectacular Byzantine and Umayyad mosaics. Proceed to Mt. Nebo (site only as the church is closed down for renovation) a city mentioned in the bible as the place where Moses was granted a view of the promised land that he would never enter. 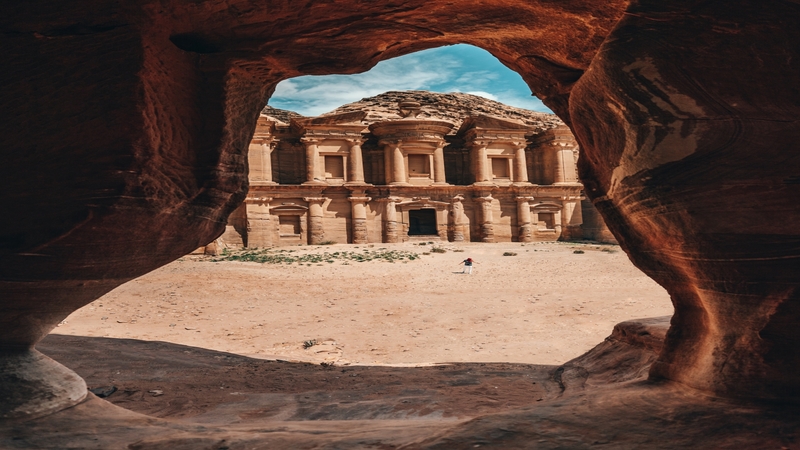 PETRA VISIT :- After breakfast, we head to visit the Nabatean Red Rose city of Petra, one of the 7 world wonders and a UNESCO World Heritage site. Enter the city through 1KM long narrow gorge which is flanked either side by 80m high cliffs! Notice the dazzling colors and formations of the rocks. The site is massive, and contains hundreds of elaborated rock-cut tombs, a treasury, Roman-style theatres, temples, sacrificial altars and colonnaded streets. PETRA - WADI RUM – DEAD SEA :- After breakfast, we head further down in southern Jordan to visit other significant sites including Wadi Rum to explore Wadi Rum on a 1.30 hour jeep ride into the Jordanian desert! Wadi Rum was best described by T.E. Lawrence as “Vast, echoing and god-like”, and by the locals as “Valley of the Moon”. Proceed to the Dead Sea, the lowest point on earth. DEPARTURE DEAD SEA :- After breakfast, transfer to Queen Alia International Airport for departure to your final destination. From 01 – 05 Pax: *A local English-speaking guide in Jerash (1.30 hour). 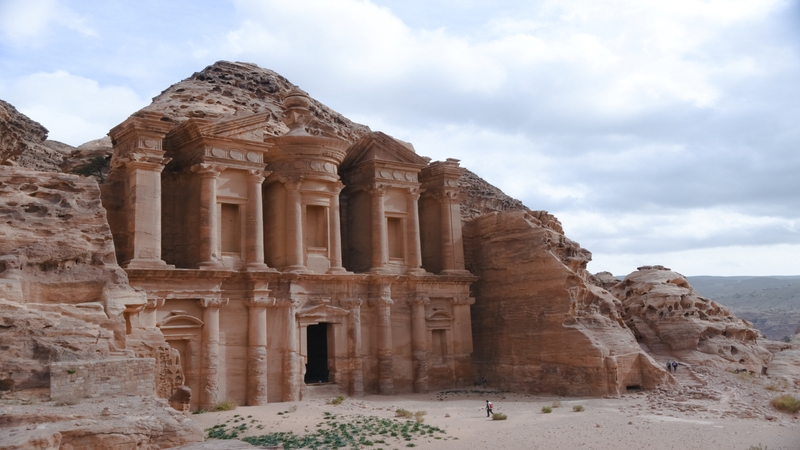 *A local English-speaking guide in Petra from the visitors’ center till Qasr Al Bent (1.30 hour). From 06 guests and above: *A private English-speaking guide on touring days only.